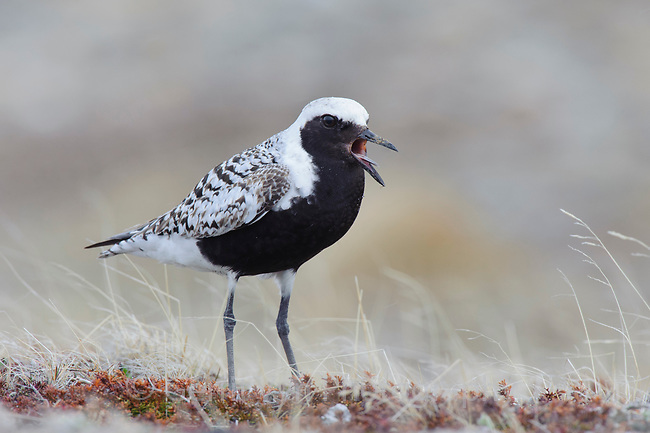 Adult male Black-bellied Plover (Pluvialis squatarola) giving an alarm call. Seward Peninsula, Alaska. June.